On this Halloween, I profile the scariest players in the NFL. If you’re like me, you have nightmares about these players staring you down…not to mention your quarterback. 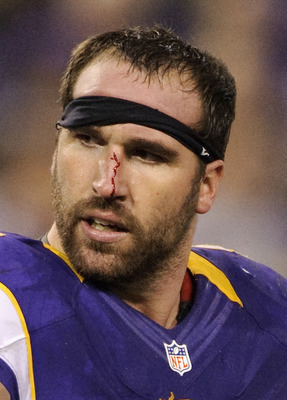 Yes, Jared Allen may be lovable…in a big, goofy dog kind of way. But he’s also intimidating…in a growling Doberman kind of way. You never really trust him, you never take your eyes off him, you never turn your back on him, and you never…ever piss him off. Just ask Tampa Bay Buccaneers Quarterback Josh Freeman. During last week’s Thursday Night Football game between the Vikings and the Buccaneers, Bucs Tackle Donald Penn kept blocking Allen after the play was over. The two got physical and Penn knocked Allen’s helmet off, giving him a bloody nose. Once the two were separated and back on the field for the next play, no one had to tell you what was going to happen next. The whistle blew, the ball was snapped…and before he could say, “Trick or Treat,” Josh Freeman was on the ground with a bloodied Allen starting him in the face. Just like a scene from a horror movie. Fan’s best friend…but only if he’s on your team. Don’t let the Head & Shoulders commercials fool you. Troy Polamalu may be sitting at a piano, long hair flowing…but as elegant as he looks, he’s a fierce fighter on the field. Over ten seasons in the NFL, Polamalu has racked up 614 tackles, 9 quarterback sacks, and 29 interceptions. He also has two Super Bowl rings and seven Pro Bowl appearances to show for it. Superhuman strength and speed? Maybe he does moonlight as a vampire. The hair is fair game on the field. If you think it holds him back, though…think again. 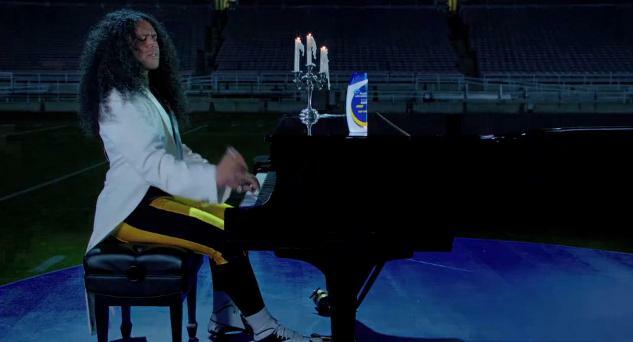 But Head & Shoulders did insure Polamalu’s locks through Lloyds of London (for one million dollars), just in case. If any player has the nerve to mess with Polamalu’s mop…it will grow right back anyway. At least, it would in Twilight. Ray Lewis is not only the best linebacker on the Ravens defense, he is arguably the best linebacker in the NFL…and quite possibly the best to play that position. Ever. The Ravens are missing Lewis, who was ruled out for the season with a torn triceps muscle in week six. And they may be missing him for much longer. Reports say the 17-year NFL veteran who is not so quiet along the sideline, is quietly contemplating retirement. In his storied career, Lewis has racked up more records than any trophy case could hold, including a Super Bowl, Super Bowl MVP, a record 13 Pro Bowl appearances, more than 2,000 tackles, 41 sacks, and 31 interceptions. Coupled with his keen sense of leadership and that intense look, this is not a guy you want anywhere near your quarterback. Not even on the sideline. And then, there was that murder investigation…but I won’t go into that. 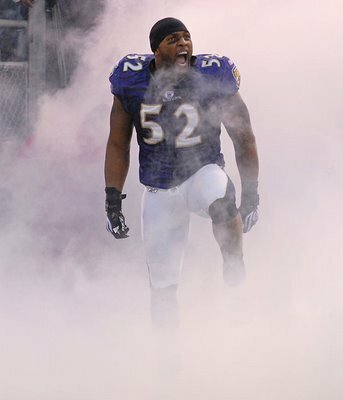 If Ray Lewis retires from football, he will be remembered only for his game killing plays, his violent attacks on quarterbacks, and his ability to stop runners dead in their tracks. Aside from all that, he’s also one of the most loved and respected players of all time and is known for having a huge heart. In 2010, Lewis had a street named after him in honor of his work in the Baltimore community. I don’t care. I still don’t want to run into him in a dark alley. Even if it is Ray Lewis Way. But don’t tell him I said that. Ok? This entry was posted in NFL, Ravens, Steelers, Vikings and tagged Jared Allen, Ray Lewis, Troy Polamalu.